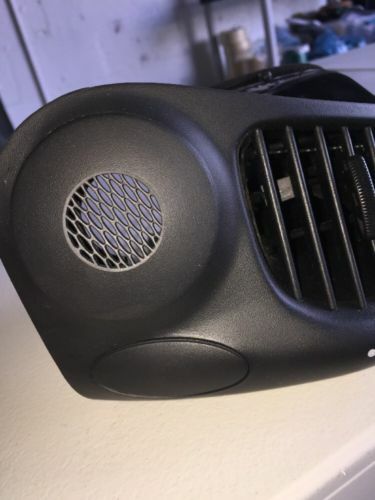 911uk.com - Porsche Forum : View topic - Heater Only Blowing Hot? 911uk.com Forum Index > 996 (1997 - 2005) > Heater Only Blowing Hot? Posted: Thu Jan 04, 2018 3:19 pm Post subject: Heater Only Blowing Hot? I've an annoying problem where my car only seems to like blowing hot air no matter what the temp is set at unless it's on the coldest setting. Any ideas? It could be a resistor. I’d suspect it is a sensor fault. The one that reads the internal cabin temperature. If it’s a gen 1 car I believe there is a way you can get the climate control to display the internal temperature. You will know it’s that as the reading will be wrong. Yes it's a gen 1 car (1999). I'll have a google and see what to check thank you! When I had a very similar problem I sourced a second hand sensor that sits under the passenger air vent in the cabin. Sorted it out. Tom and Toml have alreay said what i think .. The interior sensor is probably under reading so if it thinks the cars temp inside is -5 then every setting other than Low will just blow hot air. If it reads that low as well which it may well do then your A/C also wont work . Depending on the year then the sensor is either in the center panel or behind the round vent/ dash trim in the dash on the n/s . It can only be proved though by looking at actual values for the heater system with a tester . I cant belive any garage would replace the condensors and NOT refill the system , i would guess thats its just not been mentioned but incorperated into the bill . This sensor CAN stop the A/C from working . Pop out the round vent on the passenger side first and see if its there . You can pull it out with your finger nails and the sensor should be behind it . If it is a gen 1 then you should be able to access the 'hidden' menu. Mine it a gen 2 so I have never been able to test this but I remember reading about it a few years ago. Press and hold the UP button then at the same time press and hold the RECIRC button in. After 5 seconds or so of holding the buttons in the display changes to 1C. (this is the button for directing air through the centre dash vents). 4c - Outside Temp - From the Sensor in Front Grill of the Radiator. Data is fed to the Climatronic from the Instrument Cluster. When not moving, the Instrument Cluster OBC Temp Display retains it's last setting until moving. This is to prevent heat emanating from the Radiator affecting the Temp Sensor. The Climatronic uses the lower of the two values in determining Fresh-Air Temp. 20c - Vehicle Speed in kph, updates once per second. This is True Speed, not the Speed+Safety Margin displayed by the Speedometer. 24c - Sun Sensor, Exterior Lights Switch, and Panel Lights control (term. Funnily enough I've had this exact problem today. I take it the sensors quite cheap, is it an easy/quick diy? The round cover popped off really easily, the sensor is indeed behind it and covered in fluff and dust which probably doesn't help so will replsce it as a matter of course. Now with the a/c menu, I get 0c - ERL. What the heck is that? If I google it, all I get are links that show the list of codes but not what ERL means. Any ideas? Just cleaning the fluff out has improved it no end!